This property is 3 minutes walk from the beach. 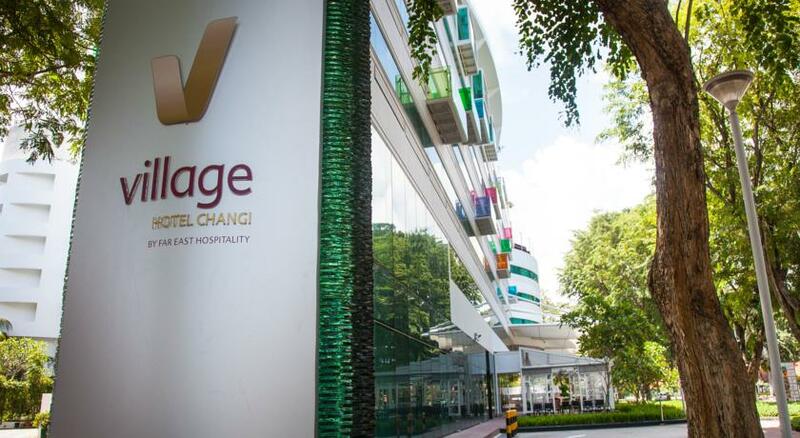 Located just 30 minutesâ€™ drive away from the busy Orchard road is Village Hotel Changi. Surrounded by tranquil greenery, this hotel is just a 15-minute drive from Changi International Airport and the Singapore Expo. The hotel features a rooftop pool and hot tub overlooking the South China Sea. 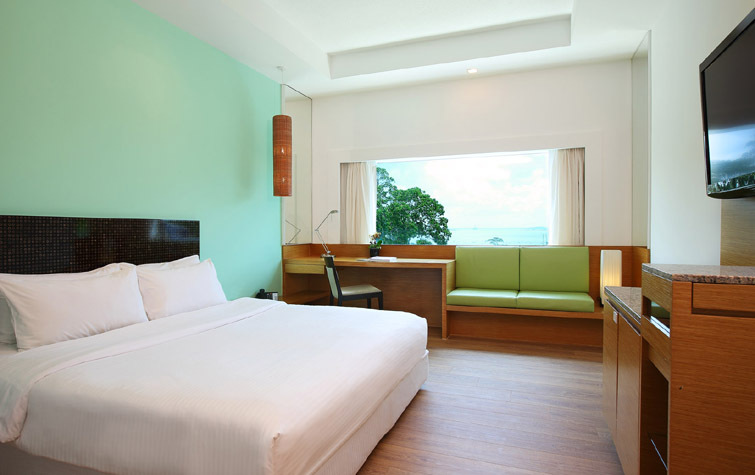 Each of the 380 rooms at Village Hotel Changi offer sea or garden views. Each room has a flat-screen cable TV, safety deposit box and executive work desk. Attached bathrooms have a bathtub with rain shower. Toothbrush, toothpaste and toiletries are provided. Ideal for all travellers, Village Hotel houses 17 indoor and outdoor function venues, a fitness centre and a convenient tour desk. Buffet breakfast is served at the hotel. Located on the rooftop, La Cantina offers delicious Italian dining accompanied by soothing views of the sea. Saltwater CafÃ© features buffets with local and international dishes, including Chinese cuisine. Located a 10-minute walk from the bumboat terminal to Pulau Ubin and Chek Jawa Wetlands, making it a fully versatile location. The hotel is a 5-minute walk from shops and hawker stalls at Changi Village. Changi Beach Park and Changi Sailing Club are also just a short stroll away. Tanah Merah Ferry Terminal is a 15 minute drive away.